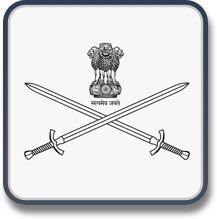 The Indian Army asked us to create a high-fidelity real-world scale VR simulation for ground troops. While open source digital elevation maps were good for aircraft sim where you fly 30,000' above the ground, but what do you do when you have to operate 5' from the ground ? ​Turns out, you scan the target area yourself with a drone and payload, and beat google map's resolution by 30X. 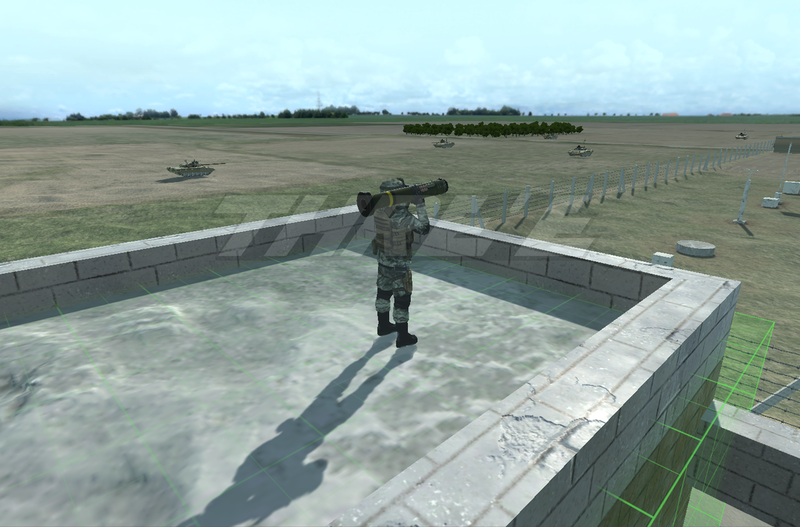 Threye Interactive has been working towards encompassing Live, Virtual and Constructive training, allowing geographically dispersed forces operating on separate platforms (infantry, armour,air) to have an experience of collectively participating in combat training exercise as if they were all physically located at the same site. 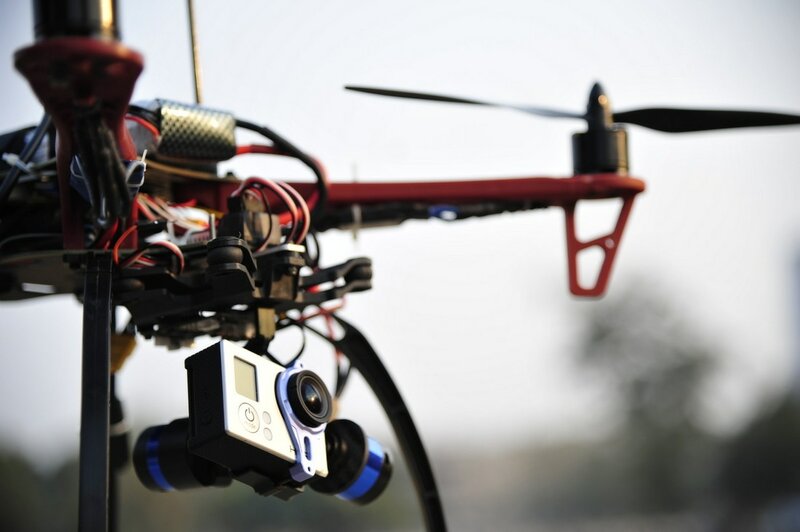 Threye is using game technology to achieve LVC in cost-effective manner. Augmented Reality has great promise in training and simulation. Augmented Reality allows you to 'do' virtual operations over real machinery without hampering underlying equipment (which in military is often hard to access, and many a times dangerous) thus ensuring maximum transfer and recall of training skill and knowledge. The next frontier of warfare will be robotic warfare. Picking a leaf out of DARPA's book, Threye Interactive has bee​n developing tactical robots, which can assist the troops in surveillance and live operations. 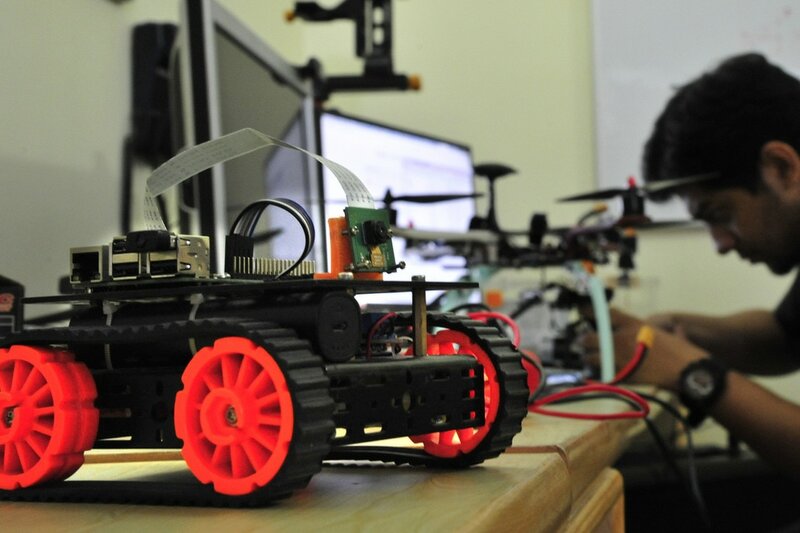 A proof-of-concept robotic platform has been developed and showcased to the Indian Army, which can move over rugged terrain, carry payloads, and be controlled via an an app over web or even mobile devices. The robotic platform can be expanded to boost endurance and do specialised operations like bomb diffusal. What do you see in this image ? A camera with an antenna ? A man on a cycle ? A barbed wire fence ? Some army trucks in the distance ? 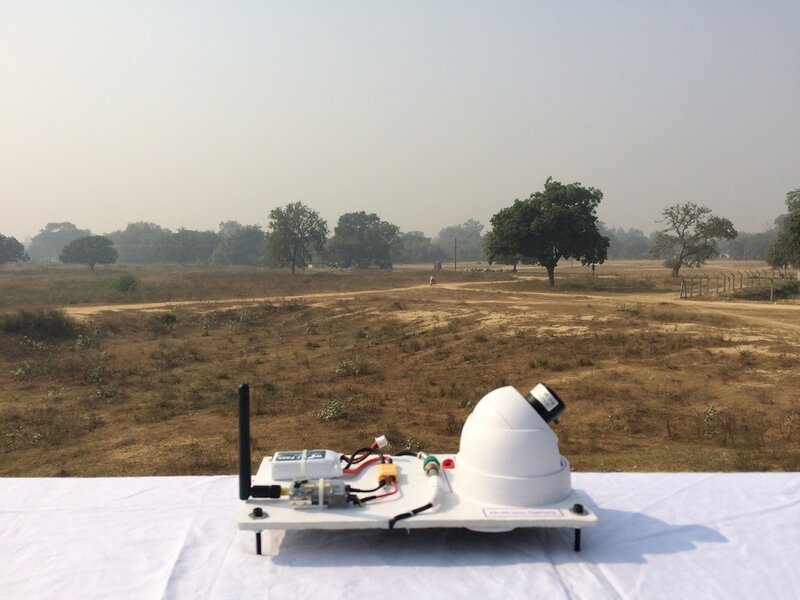 Threye Interactive was roped in by a unit of the Indian Army to facilitate over the air transmission of RGB/Thermal/Radar imagery and view the same from a remote location. We went a step ahead and added computer vision to the transmission and reception pipeline to detect movement of people and vehicles in the incoming stream of imagery. Work in progress includes compression and encryption of the live video feed. Flying is tough. Period. Have you ever stepped into a cockpit and observed the numerous and confusing dials/buttons/switches placed all around ? Equally confusing are the flying simulators and flying games. That is something the Indian Air Force wanted to avoid during a Meet-your-Military event. The brief was - "Just step up and play"
Threye implemented an augmented reality setup where your hands become the controller of an aircraft (In this case, a Helicopter GunShip) something which even a 6 year old could do with ease ! It was possibly India's first AR live demonstration, where the thrill included taking controls of a gunship and shooting your spouse with its virtual heavy caliber guns. Lot of action in air happens far beyond or too fast for the eyes to witness properly. That is a major problem when it comes to explain and inform either trainees, or general audience regarding air action. Threye has time to time assisted the IAF using CGI to illustrate concepts and capabilities involving air action, like in this case, the application of Pechora Anti Aircraft Missile system. 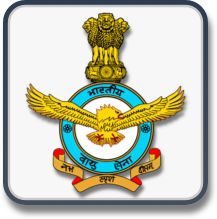 On 26th, 27th and 28th May 1999, Mi17 Helicopter units of the Indian Air Force, assaulted the enemy on mountainous heights of the Kargil sector. Rockets Away is a short animated visual depiction which pays homage to all the air-warriors, the men and their machines, of 152 HU - "The Mighty Armour" and 129 HU - "The Nubra Warriors", who very well understanding the odds against them, went in to fulfil their missions. A recollection of the events of the date 14th December 1971, when 6 PAF Sabre Jets came to bombard the Srinagar Air Base. Flg Officer Nirmal Jit Sekhon showed exemplary courage by taking off through falling bombs and engaged the enemy. He succeeded in warding off the attack, but himself laid down his life in the defense of Srinagar, for which he was awarded the highest bravery honor in India - The Param Vir Chakra, Posthumously. Support for India's entry into GLXP - Google Lunar X-Prize, a global competition for private entities to send a vehicle to the moon. 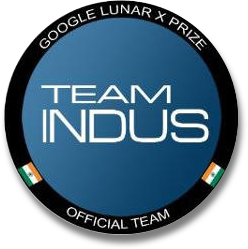 Team Indus is planning to be the first privately funded entity to land a vehicle on the moon. Talk about an audacious vision ! But vision is a complex thing. How do you convey it to your target audience which varies from venture capitalists to school kids? Even if it is rocket science, Threye has the capability to understand, simulate and recreate the scenario using its Aerospace and Defence domain expertise. We made the Rover prototype for Team Indus. The rover comprised of a three tier structure, with tracked wheels and heavy battery and gear box in the bottom tier, electronics control in the middle tier, and a computational box and camera on the top tier. This small robot could be controlled via a web-app from anywhere over the world, and beam back imagery and other data, similar to how Team Indus is planning to hand the controls of its Moon Rover via the web to those lucky few who get to drive it over the moon. Ready to plug-in with the Indian Navy, a very highly networked centric force. 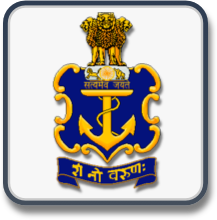 Naval Institute of Aeronautical training is responsible for training of various tradesmen, in varied fields like - airframe, propulsion, electrical, radio, and armaments. With a regular number of tradesmen joining and retiring every year, the Navy needed an immersive training experience which comes as close as possible to the real-thing, allowing tradesmen to virtually execute scheduled maintenance tasks. The same was aptly captured and demonstrated by Threye Inc, allowing a trainee to be immersed via Virtual Reality, including gesture based interactions with various aircraft sub-systems. ITC, India's most valued FMCG company prides itself for having state of the art manufacturing facilities. Threye Inc made iAVeo (Interactive AR/VR based Engineering Operations) Suite of applications, where using off-the-shelf mobile devices, rich audio-visual content is augmented on top of real machinery, allowing the manpower to familiarize and learn SOPs over newly inducted machinery, without any downtime - thus reducing costs & risks, and boosting employee productivity. We love Absolut Vodka. And by that we mean, their great taste for Design! So when Absolut launched 'make your own Absolut Unique', the promoters sought a more efficient manner than provide paint brushes to customize a physical canvas ! Enter Threye Inc. Forget physical paint canvas and brushes - everything became digital. Interactive screens became virtual canvases and your gestures become paintbrushes, thanks to a little help from Kinect! ​Lemon Tree Hotels, one of the most esteemed names in Indian Hotel Industry wanted to break free from industry practices and capture the marketing profiles of their sub- brands by leveraging innovative methods. We, at Threye collaborated closely to understand the subtleties of proposition of their sub- brands and created beautifully designed immersive apps to capture the properties through virtual 360 tour app. No complex tools for sales team to learn; the app ran with just 2 quick steps and integrated well with ongoing sales tools, and was a delight to the customer as well.